156: The Sport Touring Era Begins! We get to hear about Rich's new bike and by surprise, Rico also made a purchase! An all podcaster special edition of The Spoken Wheel. This roundtable covers helmets and other gear, it's a bit short of the great gear debate and it was a great conversation. 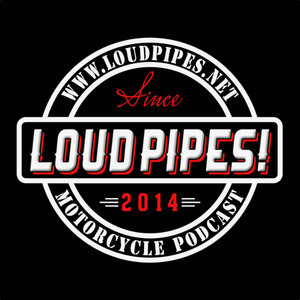 Brian Hunnicutt sat down with Rich and Jon to cover some advanced riding tips for the track and street, leading to more speed and safety. We recap our visit to round 9 of the 2019 Supercross season in Atlanta Georgia. Floyd Finch joins us this week to discuss the state of vintage motorcycling. You want or need a new bike, but should it be a brand new shiny piece from the dealer or might a used gem be the way to go? Our second Spoken Wheel episode brings three new voices and a conversation about events and rides for 2019. Easyriders came to Charlotte for a two day event in 2019 and a change in venue. Ride review of the BMW R1200 RT and Rich prepares to sell his Deuce. Jon rode the Can-AM Ryker and we get his take. Then we discuss the latest information update on the Harley-Davidson LiveWire. 2019 State of the Studio address, plus some recent riding as we set the stage for 2019. We score our predictions from 2018 and reveal out thoughts for 2019.